Whisky Joe: What's in a name? 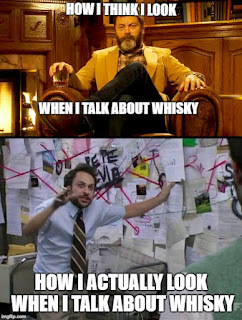 I've changed the title of my blog to "Whisky Joe". Why? Scotch was the focus when I first started this blog almost a year ago, but a lot has changed since then. I've discovered a lot of terrific whisky from all over the world and I think the title should reflect that. I won't change the address of the blog since that seems fairly involved and the four people who regularly read this might not find me at a new address. Same content, new name. Since we're on the topic of names, I thought I'd address something that came across my radar a few weeks ago. Crown Royal is selling a new whisky in the United States and it's causing a stir. Why? 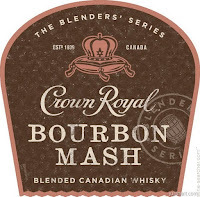 Because it's called "Crown Royal Bourbon Mash Blended Canadian Whisky". Why is that cause for outrage? The word "Bourbon". It seems the US Treasury Department's Alcohol Tax and Trade Bureau (and many bourbon enthusiasts) have taken exception to the use of the word "bourbon" on a product that is not bourbon. It's odd that the Tax and Trade Bureau takes exception now, since it is the regulatory body that granted Crown Royal the Certificate of Label Approval (COLA) in the first place. Crown Royal can sell the product in the United States for one year before the label has to be changed or the product must be withdrawn. Why use the word in the first place? Most Canadian distilleries produce and age their corn, rye, barley, malted barley and wheat whiskies separately, preferring to blend them later on to create a flavour profile. Bourbon, or American whiskey in general, uses a mashbill; a mixture of grains that are milled, cooked and distilled together to create their flavour profile.The majority of the whisky used in Crown Royal Bourbon Mash comes from, no surprise, a whisky that was distilled using a mashbill, rather than separately distilled and aged grain whiskies. Ergo, the name is apt. Some have accused Crown Royal (or Diageo, the parent company) of "misleading" consumers into thinking they're buying a Crown Royal Bourbon. I disagree. The label is fairly clear. It says "Blended Canadian Whisky" right on the front. Further, I've never heard these critics chide Springbank for releasing their Springbank 14 Year Old Bourbon Wood. 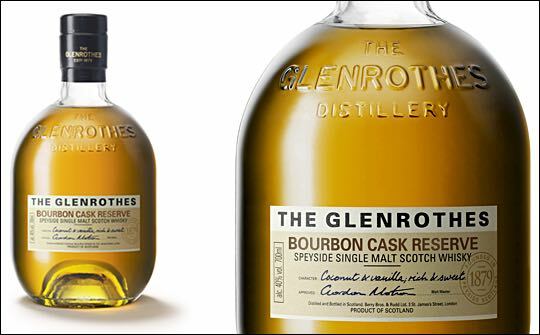 They never derided Glenrothes for their Bourbon Cask Reserve. There was no protest over the Glenfiddich 14 Year Old Bourbon Barrel Reserve. So why is Crown Royal a target all of a sudden? I'm perplexed. Reviews for the whisky seem wildly varied as well. Tastes vary, to be sure, but Davin de Kergommeaux has rated this one at 4 1/2 stars, while one Amercian blogger (who shall remain nameless at this point) rated it 20/100 points. I have to wonder if the label controversy negatively impacted the latter's views. Davin doesn't publicly award points to whiskies, but he states that 3 stars is a top mixing whisky and 5 stars is a beauty like Alberta Premium 25 Year Old Rye. So I'd say 4 1/2 stars is a strong endorsement. 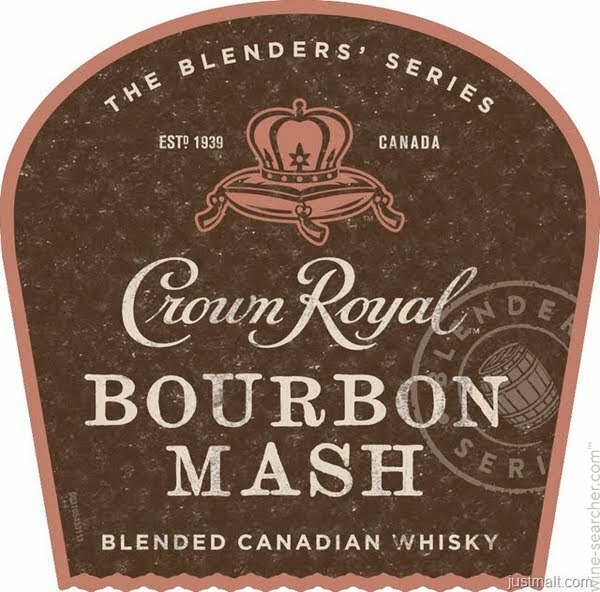 Crown Royal Bourbon Mash hasn't come to Ontario yet, so I'll have to reserve my judgment for now. Anyhow, I hope the blog's name change doesn't cause as much controversy as Crown Royal did. Although it might be a good thing if it did. How does the saying go? "All publicity is good publicity". Maybe Diageo will send me a free bottle of their Crown Royal Bourbon Mash for a review. I mean, all free whisky is good whisky, right?